Riding a motorcycle is thrilling but also inherently dangerous. The lack of protection offered, as well as having to share the road with other vehicles, can leave riders with serious injuries, long-term and permanent impairment, and even cause death. Improper road maintenance, poor weather conditions, and driver error can all contribute to a motorcycle accident. However, over the course of our practice, we have noticed that the rider is usually injured as a result of carelessness or negligence on behalf of the other road users. Motorcycles do not offer the same level of protection as other modes of transport and injured motorcycle riders can sustain severe injuries such as amputations, para/quadriplegia, traumatic brain injuries, as well as injuries of the spinal cord. After being stabilized by paramedics and released from the hospital, injured riders typically have a long road to recovery ahead of them. Costly rehabilitation and treatments are typically needed to restore the quality of life previously enjoyed by the victim. Medical and out-of-pocket expenses combined with lost wages can quickly become overwhelming and unmanageable for the rider and his family. Having a competent and experienced personal injury lawyer can make all the difference when preparing a motorcycle accident claim. The experts at BPC Law will ensure that your rights are protected right away and that you receive all of the benefits and medical treatment you are entitled to. While you focus on getting better, our legal team will focus on getting you the maximum compensation for your injuries. If you have sustained a personal injury as a result of a motorcycle accident, contact the legal experts at BPC Law. We have successfully represented motorcycle accident victims from all over Ontario, and our proven track record makes us one of the top recommended personal injury law firms in the province. We are the experts that other lawyers call for help with major cases. 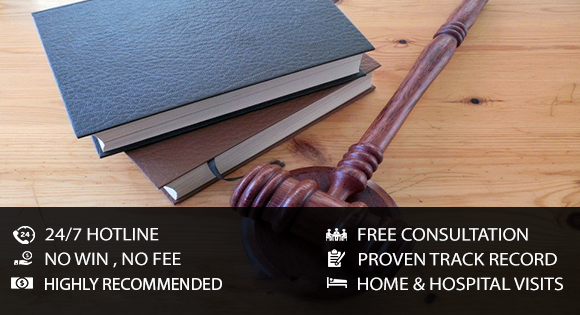 Contact BPC Law today, and get the peace of mind that you deserve.